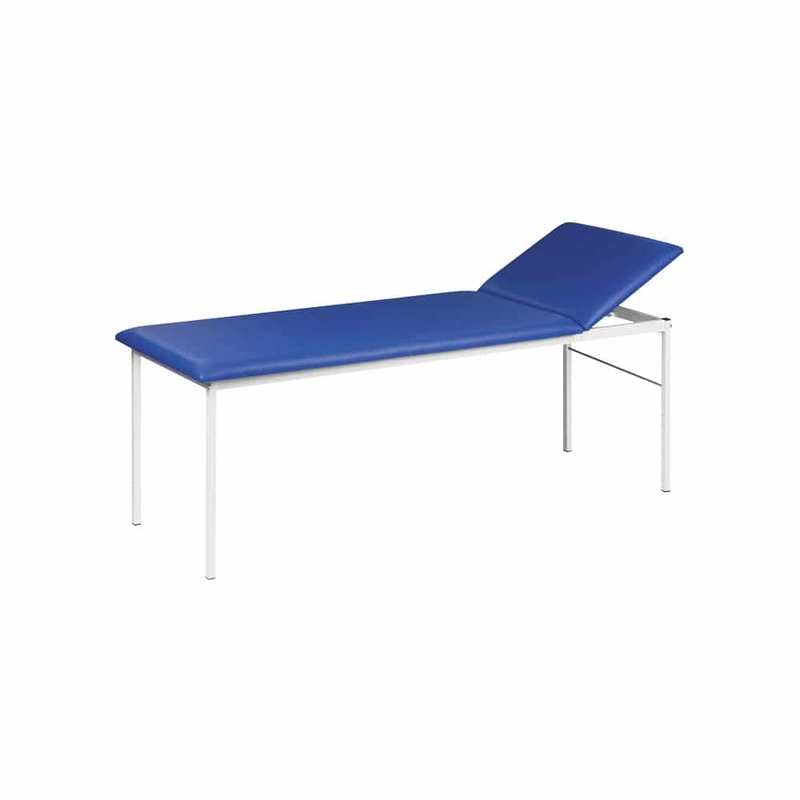 High quality, resistant examination table with comfortable, about 6 cm thick leatherette upholstering. Head section with adjustable height. 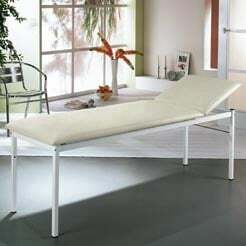 Includes paper roll holder, mountable on the head- or feet section.